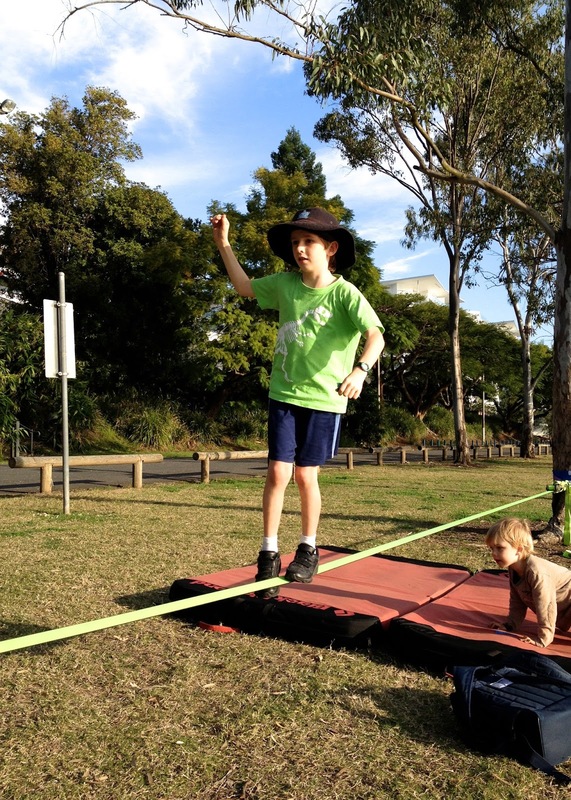 Jack: On our walk home from school the other day you had your first experience at slacklining, and you loved it. Only in West End! 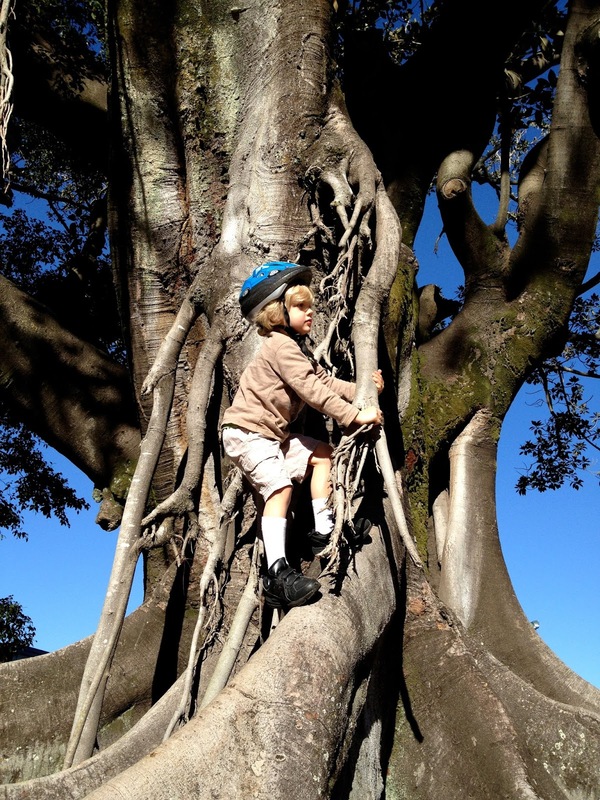 Harry: And you decided you'd climb one of the Morton Bay Figs. You're my only child who likes to wear your socks pulled right up. Charlie: Colouring keeps you out of mischief - for a short time anyway. 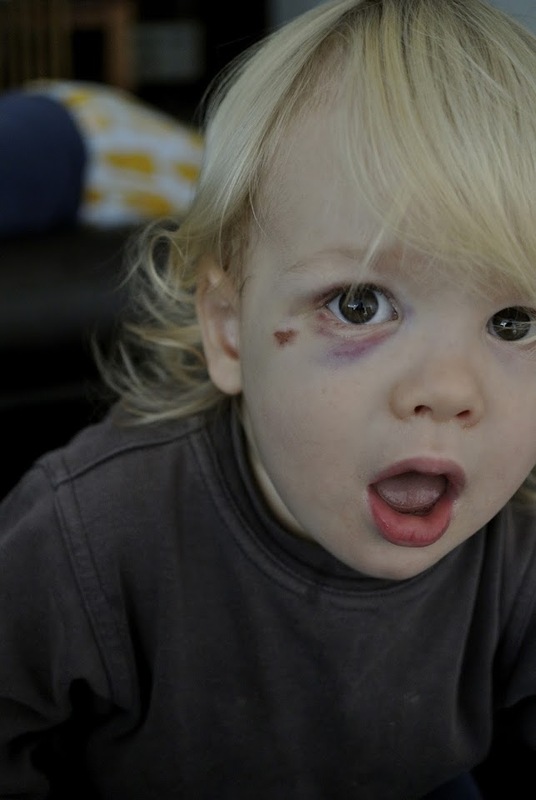 Oscar: Your first black eye - thanks to your brother Charlie. Poor Oscar! He has really copped a beating recently hasn't he! It doesn't seem like any of it has slowed him down though!